My name has always been highly susceptible to manipulation. My last name, in particular, has experienced numerous alterations and renditions…”Super Onion,” “Superman,” “Submarine.” I won’t go into the worst of them, for fear that they might catch on here in Klamath Falls, but whether I’m among new acquaintances or close friends, I have always been a special target for nicknaming. My first name, in particular, is quite a challenge for people to pronounce correctly. When I was younger, my friends would proudly call me “Rutabaga.” As I got older, the name got fuzzier, a splicing and dicing and borrowing of syllables…Rutabaga, Rebecca, Rubicon…some kind of combination. So, one might think that with my history…with a lifetime of being known as Rutabaga, that I would be knowledgeable about the vegetable, perhaps have a library of recipes for it, or at least have sampled one sometime in my life. Alas, the truth – I have never tried a Rutabaga and have never been particularly tempted to. So, when I went over to Aerie Acre a few weeks ago and the farm director, Matt Schoch (think electric shock), told me they were harvesting Rutabagas that day, I held back my childhood stories and opened myself up to something new. And even though this was their first year operating, they were quite successful in the variety of fruits and veggies they were able to produce. This year, they harvested strawberries, kale, chard, broccoli, cabbage, rutabagas, potatoes, tomatoes, corn, herbs, radish, summer squash, winter squash, melons, peppers, head lettuce, salad mix, spinach, carrots, and cucumbers. 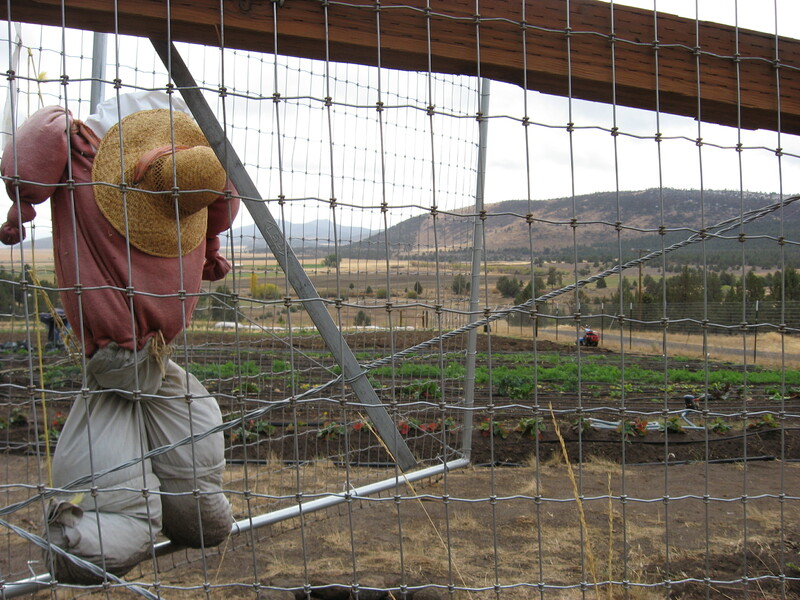 They sold their produce at the Klamath Falls Farmers Market and a Friday Farm Stand outside of Portland Street Market. Unfortunately, the rutabagas were a troublesome bunch to sell. And for Matt, it was slightly heartbreaking to see such a beautiful, delicious, and unique vegetable neglected. So, as I left the farm, he handed over a few for me to cook up. He told me mashed Rutabagas are his favorite and perfect for a beginner. So, I peeled, cubed, mashed, and buttered…and found a delicately sweet surprise! A cross between a cabbage and a turnip, rutabagas are packed with phosphorous, iron, calcium, and whole host of other vitamins. So, in the moments that you’re not chowing down on Klamath Basin Potatoes, I urge you to give rutabagas a try. Aerie Acre’s rutabagas are still available for purchase at Nightfire Natural Foods. And they are a practical fall vegetable since they can be stored in a refrigerator for up to a month. Rutabagas are drought tolerant and do well in cold climates, so try planting them in your garden next year. Surprise your families with mashed rutabagas for Thanksgiving. Give this unappreciated vegetable a try! And of course, buy local. 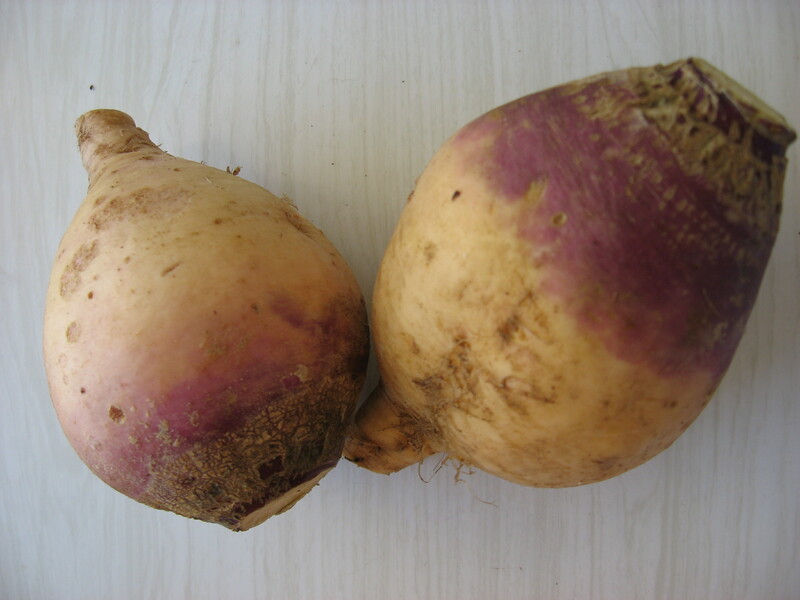 Yum yum… I’m going to add rutabagas to our muligatawny soup for Thanksgiving!